Help ensure your personal possessions are passed on to the people you care about. With careful planning and expert advice, you could also reduce or eliminate potential tax liability. Estate planning is to make sure that upon your death your wishes are followed minimising the amount of taxes due on your estate. Putting your savings, investments, life policies or assets into a Trust* can play an important part in estate planning. A Trust* is a legal entity that has control over assets for the benefit of one or more people and there are different types of Trust* which can be set up according to what you intend to achieve. When you set up a Trust* you will choose one or more trustee to be responsible for the assets. You will also choose one or more beneficiary who will receive the assets at a time specified by you. Setting up a Trust* can ensure that, for example, your estate is passed to the right people at the right time, and may be able to reduce inheritance tax liability.  McGrady Financial Services Ltd have various Trusts* to support different planning needs. Estate planning is an ongoing process and should be started as soon as one has any measurable asset base. As life progresses and goals shift, the estate plan should move to be in line with new goals. Setting up a Trust* can ensure that, for example, your estate is passed to the right people at the right time, and may be able to reduce inheritance tax liability. As Financial Advisers McGrady Financial Services can offer guidance on making your savings and investments tax-efficient and help plan for your loved ones’ future. To find out how to start estate planning for your loved ones’ future call us on 02844 617176 to book an appointment.